The writing has been on the wall for Johnston Press for a few years due to the massive debt the company was juggling with, so it was no surprise that the firm went into administration. Where do we lay the blame for the chaos that surrounds the collapse of Johnston Press? The management? The journalists or journalism? The changing media landscape? I know that some of you won’t want to play the blame game, but hell, I just feel like it. As soon as JP went up for sale for £250m we all knew that no-one from outside JP was brave enough to empty their bank account to buy into a turbulent newspaper business. The CEO of JP and now the CEO of the newly-formed JPIMedia, David King, put his finger on the button when he announced that the business was going into administration. Obviously, hindsight is a wonderful thing, but it was in the 2000s that Johnston Press made some astonishing moves, not astonishing for what they bought, but what they paid. I remember raising an eyebrow as the firm splashed the cash like a drunken gambler who believes they can’t lose so they keep spending. In 2002 the managers paid a staggering £560m for Regional Independent Media (RIM). “This is a transforming acquisition for Johnston Press at a fair price,” said Roger Parry, the then chairman of Johnston. Fair price. Really? Mr King said that it was not obvious that the business would suffer from the impact created by the rise of the web in 2002 with the loss of classified and motors and the rise of Google and Facebook. Maybe, in 2002 he was right, it was not too easy to see what lay ahead for the newspaper industry with the rise of the web, home wi-fi, smartphones and Facebook. But we all knew something was in the air, even back in 1999 as I sat in an office in Lincoln with a ‘dial-up’ to get online. Ok, it didn’t work very well, but even for a then naive deputy editor, I knew things were on the cusp of changing. This was also pointed out by David Higgerson, Reach’s Chief Audience Officer, who at a conference I attended last summer pulled out a copy of the Birmingham Mail from 1999. That paper had a puff across the top welcoming a new health and fitness supplement. As he rightly said, it was an attempt by the paper to grab new readers as sales of the paper continued to slide. It was almost unspoken pact, that we dare not talk of what lay ahead of us, but we all knew, didn’t we? But when Johnston bought the Scotsman Group for a mouth-watering £160m and were said to be in the frame to buy Northcliffe for £1.6bn in 2006, you would be rightly concerned about who was giving out the advise. Ok, I accept that this maybe easy for me to say, but by 2006 the writing was firmly on the wall. In early 2006 Northcliffe had brought in Aim Higher, yep, the accountants were in the corridors of most newspapers in the group counting stories and paperclips. Job losses were firmly on the card, it was a big clue for the Johnston managers. The second clue came when Northcliffe decided to sell its cherished regional newspapers. The papers, once loved when they used to bring in £96m profits a year, went from being the most-cherished child to the black sheep of the family. Oh, the final bit of evidence surrounded the fact that newspaper sales had been in decline since the early 80s anyway. Yes, financially they had held up well, but that was without the threat of the web. The problem was that the business model was too fragile. It relied too heavily on certain areas of advertising and failed to pull in more income in from cover price, which only ever crept up a penny or two and therefore was never enough to prop the business up. Despite this evidence, Johnston ploughed on and snapped up the Scotsman titles which only made £7m in pre-tax profits in 2004 anyway, hardly a great acquisition for £160m. So there were some pretty good indicators around that maybe it wouldn’t be worth paying such large sums for a newspaper business in decline. And here we are today, a company riddled with debt it cannot pay. Administration had been on the cards for a long time. Now a new company, JPIMedia, made up of those who were owed money by the old Johnston Press, has been created to run the business. Under the deal, £135m will be wiped off the firms debt, £35m injected back into it and more time to pay off the remaining £85m debt. The new company has body-swerved taking on the pension scheme which did not transfer and will come under the Pensions Protection Fund, a scheme set up by the government to provide pension benefits to members of scheme whose employers have become insolvent. While the pension should be safeguarded, according to holdthfrontpage, some of the pension pay-outs may not be as high. This is a bitter pill for staff. It is a grand statement to make as the regional newspaper continues to reconfigure weekly to meet the needs of its consumers and the business. The reality in my opinion is that JPIMedia, like its fellow media groups, will inevitably make editorial cuts once the dust has settled and there’s a debt to service. This is because, with falling newspaper profits and circulation to consider, despite a growing online presence, I think the only way financial targets can be hit is via streamlining. We have seen the latest remodelling of the industry with recent job losses at Reach Plc, the old Trinity Mirror, where 41 more production jobs are going. A few years ago I welcomed the steady move away from regional subbing/production hubs to a return to producing the newspaper on your home soil. But the latest plan, on top of regionalised sports departments and centralised page units, does see a return to centralised subbing hubs, of sorts. Before I move on and because I was feeling nostalgic, I managed to dig out some old notebooks (see photographs below). They show my wild scribblings as I put together a new workflow plan for the then newly-created subbing hub in Stoke-on-Trent, the home of The Sentinel. Stoke was one of several hubs which took in pages from other Staffordshire newspapers including Tamworth, as production was streamlined and subs lost their jobs. This rough diagram shows how I was trying to provide a new workflow system for the subbing hub in Stoke-on-Trent, the home of The Sentinel. My jottings also show my attempts to calculate how many pages had to be subbed per paper, per day, per sub. Yep, terrifying. In this picture I’m attempting to work out the number of pages to sub per day per newspaper and how many staff in the would be required in the Stoke-on-Trent subbing hub, the home of The Sentinel. It is different this time, as I understand it, looking from the outside in. This time there will be production staff still in the local centres. The subbing hub will be virtual, so, for example, as I understand it, in my area there will be one big production unit covering the East and West Midlands. While the local teams will take care of their paper, they will also have the capability of helping out the other centres when the pressure is on and there is a greater ability to share content/pages. The outcome of all this? Probably more generic pages, similar to the ones which appear in the regional papers at the moment. Secondly, based on some recent research of one of my University of Derby students looking over the last 30 years, which shows that story count in the local press is way down, I’m wondering if this trend will continue? Please note, at the moment I’m not saying this is a good or bad thing, it’s a debate for another day, particularly on around what is local? One of the issues is that most of the content comes from the web. This is a bit of a poison chalice, because while the content is perfect for the web, it can be more difficult to translate that into newspaper content. It’s the reverse of the argument in the late 1990s early 2000s when newspaper content was uploaded onto the web. The problem with that was it was impossible to search for a story online with a newspaper headline. Let me assure you, somewhere in the ‘cloud’ are a load of stories no-one will ever find, because they have a newspaper headline, not a web head. Finally, there’s the thorny issue of errors. holdthefrontpage used to have a field day during the old days of the Northcliffe subbing hubs when it found an error in a newspaper, for example, such as Lincoln, because it was subbed in Hull. The difference this time is that at least there are some local staff at the local centres who should be able to pick up any problems, hopefully. So is this latest move good or bad? My old journalist bones shout out ‘oh no’ but I’d rather have journalists employed and a newspaper to buy. The newspaper industry has to use the technology it has at its disposal, for too long it relied on the old ways of production. From what I know, there’s still some terrific journalists in the print units who through sheer love of the job will continue to turn-out newspapers to the best of their ability. For too long, newspapers buried their heads in the sand. You can see by going to www.archive.org and checking out some of the regional websites and realising how far behind they were even in the mid-2000s. The industry failed to modernise quickly enough. Now it’s all coming at such a pace, it’s hard to keep up. Let’s hope it works. So back to my original question, is there anyone to blame for poor old Johnston Press going under? OK, none of us claim to be Mystic Meg, but the foolhardy nature of Johnston’s spending in the early 2000s suggests, without sounding like a shop steward, I think the blame must lie with those in charge. If Lord Rothermere was prepared to sell Northcliffe without looking back in anger in 2006, surely JP’s top team must have had a whiff of what was going on…didn’t they? For a moment I had to close my eyes and squint. There was carnage everywhere. It has been difficult to consume the media websites Press Gazette and holdthefrontpage in the last few weeks as job losses, editors leaving and presses closing have created a tale of sorrow across the regional newspaper business. I considered at one point to take a picture of the holdthefrontpage web site and show my students the carnage, but I thought it would be overwhelming. And the other point is, before I move on, there are many jobs for journalists, but they do not exist in the numbers they used to in the old regional newspaper industry. I know many of my former colleagues will shiver at that thought, but this is the reality. We are seeing the decline in one area and the growth elsewhere, everyone is a publisher, so every organisation, business, charity, school, needs a journalist to write for and about them. So here we go, to all my students, look away, to the rest of you hardened hacks, here’s the front page of the holdthefrontpage.co.uk …ouch. From holdthefrontpage, a press closure and two editors leaving their posts. Editors disappearing at a rate, another press closure as a news giant, in this case Newsquest, gobbles up a smaller company, and all this as Trinity Mirror was announcing yet another re-shape of its business with the loss of 49 jobs in the north east following the loss of 49 jobs in the Midlands and west. By chance, I was discussing the structure of the newsroom with my students when I first started in newspapers and how it (roughly) looked now in this age of online first news. OK, I’m not an artist, but this is how the discussion developed and the drawing evolved on the white board. Below is how the structure looked (from memory) and below that, roughly what it looks like today with on the right side the newspaper side and one the left a boiled down version of the web. OK, I admit, fine art wasn’t my strong point. Hopefully, though, the point of the lecture was well made. So many newspaper jobs/titles have gone. One of the key areas decimated is the good old production area, where the subs are few and far between and never mentioned in the world of digital news. However, having heard about the loss and re-organsiation of TM jobs in the north east, it made me think that I might be out of step with some of the new structures. TM has gone for the regional approach to cut costs. It has decided to get rid of some editors and merge departments. The idea, I understand, is to move TM towards a brighter/profitable digital future while the decline of the newspaper continues at a pace. You can completely accept this theory. The readers are disappearing from newspapers so build where the audience is growing, online. The tough thing is that newspapers still make more cash than online and while the gap is closing, it is not fast enough, Grand Canyon comes to mind. In reality, the business will have to accept it will never again make the profit it once had, the golden egg is more like a tin pot. The north east areas consist of Newcastle and Teesside, in many ways, close geographically, about 40 miles, but a distance in terms of identity. For those in the know, Teessiders don’t find Geordies agreeable and Geordies feel the same about Teessiders with Sunderland (and Durham) stuck in the middle. So, there would be uproar if they end up in a properly merging content teams, with all the reporters put together, because they will argue that they can’t cover their own areas properly due to a lack of knowledge. For now, in some key areas, there appears separation. I guess the plan is to have a North East umbrella group allowing certain content gatherers to produce stories for both areas, in other words a lot of the new roles will be regional, the new local. As I understand it, Neil Hodgkinson, the editor at Hull, will control the whole region while an editor for print and digital will report into him. This plan also involves merging certain areas of the newsroom, I guess some parts of the digital, social media and sports areas, will come under the regional banner. There will be a few reporters specifically covering Newcastle and Teeside, but as I understand, they are on the digital side. It would appear there will be three print reporters who will have regional roles with the idea that they cover stories not touched by the digital team and a further three writers will be harvesting content for the newspaper. I reckon the total workforce specifically for print could be around 12 for two newspapers, in my sums are correct. It has to amount to fewer local news stories in the newspapers and fewer journalists writing for the paper as mentioned above. In many regional newspaper these days it’s easy to identify where the local pages are and where the centralised content begins. I recently did a random local story count in The Sentinel, my local newspaper, where I once worked, I used to have a special story counting method, so applied that. The number of local news stories was at least 60 per cent fewer than four years ago (and I was being generous), but with staff numbers down and the demands for online news greater than ever before, it’s easy to see why. There is an argument as to whether story count matters and, on reflection, I feel we tried to provide too many to the detriment of the better stories. However, the old ‘pack it full of local stories mantra’ was designed to give value for money, but with fewer local news pages and stories, it is no wonder that readers are turning their backs on newspapers. Add to this the rising cover price cost of newspapers and we have a recipe for further decline. Here are the latest ABC figures. They sadly show that once great beast of the north, the Yorkshire Post, is 29 per cent down in the last six-month period, selling just 11,494 compared with a decade ago when it sold 42,337. These figures reveal many other tales of woe. Back to cover price. One of the key survival tools of the regional press has been to put up the price of the newspaper to bridge the decline in income as sales fall. I have said before, newspapers steadfastly used to put their cover price up at one or two pence a year. What I can say is from some research I have done looking across at a decade of sales decline and price rises, and it looks like I’m telling you the obvious, that while online has pinched the audience, the policy of increasing the cost of the product while reducing the number of local stories in the newspaper, is a recipe which has accentuated the decline. I was taken aback slightly when the Western Mail, which sells 13,149 daily, decided to do a relaunch, redesign its magazine and slap 30p on its Saturday edition, more expensive than The Times on a Saturday which costs £1.70. The odd penny always knocked a few off the sale, a grimace at the thought of what 30p might do. And I can’t help but feel some sympathy with the paper’s editor, Catrin Pascoe, who came out with the well-worn ‘it will now be bigger and better’ for the new package on offer, readers just don’t get this. They’ll look at the price, then head for their mobile phone or laptop to read something for free, however good it is. I’m afraid this has all looked a little bleak. But I have some good news. The University of Derby journalism department recently held a workshop (see below) with TM journalists with the inspirational Christian Payne to help guide them through a range of news apps which can help them tell their stories online. There is so much innovation and creativity in the way stories can be told. In a way, this should be the most exciting times for story-tellers, but the shadow of cutbacks takes the sparkle off a new industry growing from an old one. P.S A colleague of mine just sent me this link on Delayed Gratification. I love this concept of taking time to write the news and give it greater perspective. I believe that, in time, we might all get fed-up with the chatter of social media news and look for a more complete picture, this offers that solution. Do I now quality for the position of ‘happiness correspondent’? Read about that here. Former Croyden Advertiser chief reporter Gareth Davies created a social media storm with his criticism of Trinity Mirror. There have been few occasions as far as I can recall when two such prominent editorial executives such as Trinity Mirror’s Neil Benson and David Higgerson have been moved to respond in such detail from the criticism of one reporter. I understand that there was an emotional outcry when former Croyden Advertiser chief reporter Gareth Davies spilled the beans on how he felt TM was destroying his beloved newspaper. The response from Mr Benson and Mr Higgerson showed as much passion for what TM is doing as Mr Davies obviously has for the Advertiser and his belief that TM is ruining it. As stated eloquently by Mr Higgerson, TM hasn’t banned stories which generate less than 1,000 page views. But, from what I know one of the firm’s digital documents states that 43 per cent of stories on TM’s top 12 web sites have generated an audience of fewer than 1,000 page views. Based on this, you can perhaps conclude that there’s a misunderstanding by some of the TM team over what is required, this isn’t a ban, just a quiet word of guidance. What is clear, is that TM has a plan, this has not always been the case for many newspaper groups. It is based around growing its digital audience, so the focus of the newsroom is clearly geared towards this. Analytics of the audience is a tool to help this growth. Never has an editor had so much quality intelligence about its audience. It means, for the first-time, editors can base decisions on hard facts and not just finally-tuned instincts. I do think Mr Benson describing journalists as ‘arrogantly’ choosing what they want to write about as slightly harsh. Most journalists I have worked with write stories which they believed were important to their readers. There was never a day when an editor and his top team worth their salt didn’t talk about sales and how to improve them. The times a gleeful newspaper sales manager entered a news conference to proclaim a sales spike on the back of a top story are too many to remember. No, the newspaper men and women I worked with were obsessed with their ‘audience’ (readers) so there is nothing new on that front. The difference is that now there is more evidence available to work out which stories the audience is reading. What would you rather rely on, fact or instinct with a teaspoon of evidence from the sales history of a newspaper? However, there is a word or two of caution here, the web audience is different to the newspaper audience, so what works well online doesn’t necessarily reflect what might work well in print. There is little evidence to suggest newspapers are doing well thanks to the digital-only policy, indeed, sales decline for many still smashes double figures. I was also concerned with the point raised that there’s more content in the newspapers. Recently, sadly, I spent a day counting stories and pages in a couple of TM’s biggest regional papers. I used the same formula as I had used when I was a deputy editor and editor and it was clear to me that rather than there being more stories there were fewer. I used to aim for between 65-100 local news stories a day in my papers and a minimum of 15-17 overnight pages. Clearly, from my research, this wasn’t the case and there were a lot of centrally produced pages, which I didn’t count, because I wouldn’t have previously. This is not a direct criticism, but there are fewer local stories, fewer pages and newspapers cost a lot more. With staff cuts and an emphasis on digital, something has to give. One of the reasons for fewer stories is because a journalist will be asked to go out on a story, cover it live, write Tweets, post it on Facebook, a version or two online and then it is shifted to the paper. This takes time, so one story will be polished, but there’s many other stories that won’t be written due to lack of time. The idea is to get, say 20, great stories online and get the audience to come by building content around them. I guess the way to resolve this is to harvest content from elsewhere to publish, but once again this takes time, unless you can get out the automatic content scrapers. When we got rid of the editions of the newspaper and printed overnight the newspaper felt dead, we dreamed of those adrenalin busting days of swapping stories around and writing breaking news. This died with overnight production, but the web gave us a continual edition and I think reinvigorated the newspaper office, the buzz returned and that was great. However, the demands are many for the journalists at any newspaper group. The 21st century journalist has to have an array of skills, which is exciting for the next generation. At the centre of this is the ability to tell a great story using core journalistic skills but they also need to understand how to attract an audience using analytics, understand Twitter and Facebook, after all, just view these as modern day bill boards, the ability to use Facebook Live or Periscope, to edit video and write great SEO. Challenging, yes, but this multi-skilling has helped to reinvent a business which was floundering. It is because a journalist is asked to do so much that massive effort is put into key stories. What these stories are, is now based on a history of performance online. Is this click-bait then or the ability to give the audience content they want to read? After all, a newspaper and a website are products which have to be sold, I can’t see Tesco’s selling something no-one wants to buy. Similarly, why would a media organisation provide content no-one wants to read? Don’t get me wrong, I have plenty of concerns about the ability of firms to hold authority to account, for example, how many local councils and health authority meetings are covered today? Newspaper groups may well argue that the reality is that no-one wants to read this anyway, where is the audience, so why cover them? I completely understand Mr Davies for being so annoyed with the way TM has developed. But what choice did the firm have? Newspaper sales are in terminal decline and there’s a chance to keep the business going by throwing resource into digital. The issue however comes down to cash. Most of the money still arrives from newspaper advertising and sales, as sales decline, so will the cash. However, no newspaper group will ever be able to get the same revenue returns online, even if the cuts go deeper. So we will all have to accept that it’s a different business, one with less income, better audience knowledge, journalists with different, but more skills. Is it better or worse than when I started? Difficult to say, it’s just different. I often had the discussion with my newsdesk about content. I constantly challenged them on whether the stories newspapers had traditionally covered were the stories for the 21st century readership? What we are seeing is that the content produced has to reflect the new needs of the audience. The web has proved that a re-focus of what is good content is needed and that is why it has changed and Mr Davies is unhappy, as are many other journalists who plied their trade when regional newspapers were in their pomp. There is an argument to say that the policies of modern newspaper groups has accentuated the decline. But for at least two decades the industry dithered over what to do with the web and while this went on the world passed it by. Now there’s a lot of catching up to do. Regional journalism has some great challenges ahead. My hope is that surely, continuing to tell great stories means that it will continue to be the best job in the world…for now. For most of their lives, regional newspapers have bundled content together and thrown it into their products, like chucking paint at a wall. Should regional newspapers be looking at another way of making money than the tired newspaper/web combination? The idea was/is to satisfy all of their customers at once by putting content together from all walks of life, on numerous subjects from a variety of places, in the hope that readers will find comfort from a couple of articles per edition. This culture was adopted by local newspaper web sites. Lob as much content at the site in the hope of grabbing some readers. However, there has been little thought to putting these web sites together in terms of content. It has been little more than copy what the newspapers do, bundle it all together. In fact there has been little thought as to whether the newspaper/web site alliance works together at all. There is also evidence that people don’t trawl through the web site looking for what they want, why would you if you can do a Google search? This method of bundling content together is outdated. It has been exposed with the advent of the web because the untold secret is that the majority of people only really read a small proportion of a newspaper and now the same can be said of the web site. This is one of the reasons for the decline of newspaper sales, the formula doesn’t work for today’s consumers. I often talk about the concept of the end of mass media and the rise of personal media. Readers simply choose exactly what they want by going to certain web sites or downloading the apps with the content that interests them. They don’t want a mishmash of content which they can’t or won’t navigate through, they don’t have time to sort out the gems of content they are looking for. Effectively, if they were reading a newspaper they would be binning most of the pages and keeping the one or two pages which have something they may be interested in. This is also reflected in the number of web pages people visit on regional newspaper sites. If you hit above two to three pages per unique user you are doing well. So is the model for regional newspapers of a paper and web site the wrong one? Well, audience is growing on these web sites, but the plateau may not be that far away. They will get their spikes with the odd great story or well-constructed web bait, but is this enough to keep the cash rolling in? We already know that the Mail Online and The Sun are not hitting the revenue required online to prop up the falling print revenues, the same can be said in the regionals, however the accountants attempt to cover up the cracks. Web advertising income is up, but that’s inevitable as the print income falls and the newspaper groups throw the kitchen sink at trying to sell online, sometimes even prepared to lose print revenue, just to prove a point. Just look at Local World’s latest figures. The report boasts of a £43.6m profit. But, as a friend of mine points out, once you remove what the shareholders take off the firm and other costs the profit is just more than £11m. Then look at the digital revenues, up 22 per cent to £24.6m, the press release screams, but print revenues saw an 8pc decline to…just (just?! )£131.5m, but still generated almost 60pc of the group’s overall revenues of £221m. Sorry, I digress. Delivering content is now about delivering to a targeted audience. These readers maybe small in number, but they will be profitable for advertisers attempting to reach the readers directly. 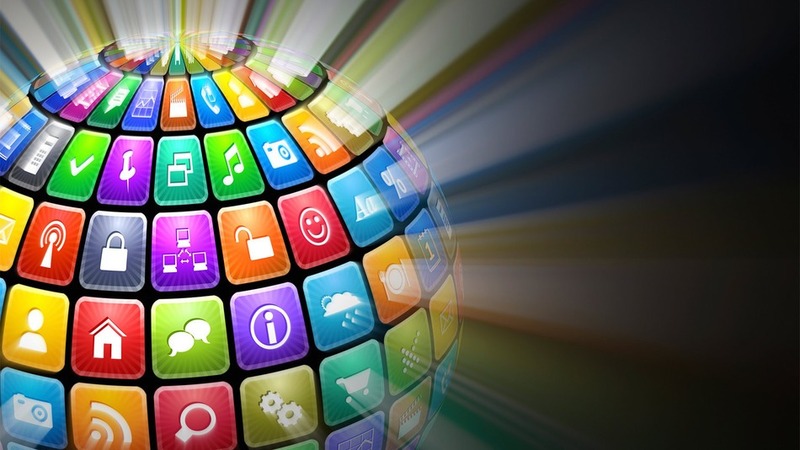 So rather than concentrating content online, why not in a dozen or more apps? I’ve already spoken about how health stories are not seen as good for engagement on the web or social media, but the term ‘health’ is too general. Are all stories about cancer, pregnancy or your local hospital really read by so few people? The answer is no. So what kind of apps you may ask? In city ‘A’ 12,000 children a year need pre-school education. If all the mums and dads sign up to an education app, financed and paid for by the education authority, plus ads sold on the app to a targeted audience, surely this would work as a business model? Add a further dozen of these apps for things such as pregnancy, eating out, local shopping and suddenly you have unbundled the news to satisfy your readers and advertisers can be assured that they are hitting a local audience head-on, not from across the sea. For those who are wondering how their newspapers can be filled, a selection of the app content can be put into the newspaper and dveloped, if required. OK, I accept this is not a perfect solution but what it allows is for the old newspaper/web business to be more attractive to the modern consumer. Unbundling content is the way forward. Just think of what all of you do every day. You choose to look at certain web sites and apps looking for certain content. Regional newspapers and newspaper web sites don’t offer this luxury. Like a teenager on their first date they have been fumbling around for too long looking for a magic formula. They now need to grow up and look for a better/different business model, the lives of so many people depend on it. Journalism dead? You cannot be serious?! Mark Twain famously said that reports of his death had been grossly exaggerated. The same can be said of journalism. There is a feeling that journalism is a sick patient and there’s little we can do to revive the old girl. Where does this feeling of decline come from? It’s fairly straightforward, journalism and newspaper are too intricately linked and they need uncoupling. Circulation figures show that since January 2001, the total circulation of the UK’s 10-major national newspapers has declined from 12.06 million copies sold on average each day to a daily average of 6.89 million copies sold in 2014. That’s a decline of 42.84 percent. If the same number of copies were lost over the following 14 years, the total average daily circulation would be under two million by quite some way, at around 1.7 million daily copies. Journalism needs to uncouple a little from the demise of newspapers so it is not viewed as being in decline. The problem with these figures are that they are all about newspapers. The decline in newspapers has created a feeling that there is a demise in journalism. However, I think, I know, this cannot be further from the truth and we need to instil this into the journalists working in the industry now and would-be scribes of the future. The point I want to make is that journalism is alive and kicking because now more than ever there are so many outlets for the skills of a journalist from print, to web, social media, apps, a massive playing field for scribes. Content is king and what we have to do is prepare for is a world where journalism doesn’t stop on the doorstep of newspapers, radio or TV. Secondly, it has become increasingly obvious that the press officers and public relations firms are becoming 21st century newsrooms with the decline in numbers across editorial. I know journalists will turn in their graves at this view. However, there is now more than ever a realisation that this content has to be good, not some old flannel because consumers too easily recognise half-baked, unoriginal content. Who are the people who will provide content of this quality? That, of course, is journalists, and the kind of journalism spoken about above is different to our traditional view of the profession being inter-linked with newspapers. It doesn’t have to be a dumbing down and the web’s thirst for only original copy being ranked highly will ensure quality, I hope. The days of mass media are gone, that’s where readers use to consume their media in one location ie a newspaper. Today it’s all about personal media, like going into the old Woolies’ pick and mix sweet section, we all dip in and out depending on our channels of interest. And the skills which today’s hacks need have to reflect this disloyal consumption of content. There will always be a demand for core journalistic skills. These involve finding a story, telling the story, structuring the story, making sure the right information is in the story. But journalism has greater variety than ever, writers need to know how to produce content for different arenas and different readers who consume in various ways from indepth articles, to hundreds of photos with an eye-catching SEO headline to a Twitter or Facebook one-liner. A newspaper report is a far cry from a first take on a breaking web story or a blog, a video story or slideshow. These are different journalistic skills which provide variety in the job which it has probably never been seen before. Journalism is about multi-skilling, working on numerous platforms at the same time and more than likely in the future this will not be on a newspaper. The art of journalism is the art of telling a story, where this story appears and in what form depends on where it can gain audience, this is what journalists both old and young are starting to understand. Similarly, content which works in newspapers or TV, often does not perform well online or social media. Journalists will have to investigate and test different mediums and different content and how they interact together. What was required of me as a journalist 30 years ago as is a far cry from what is needed now. There are around 1.35billion people on Facebook, 100 million users of Twitter, three billions users of the web, then newspapers, TV and radio all scrambling around for audience. And what links these three? It’s the desire and thirst to have content, which will be provided by the modern journalist. So journalism is far from needing the kiss-of-life. We just need to be broader in our outlook, newspapers, TV and radio are just three areas where journalism works well, there are many other outlets and the demand for quality content is growing daily.